Pharmacy is about using medications safely and effectively. A Pharmacist is a professional who manages this process. 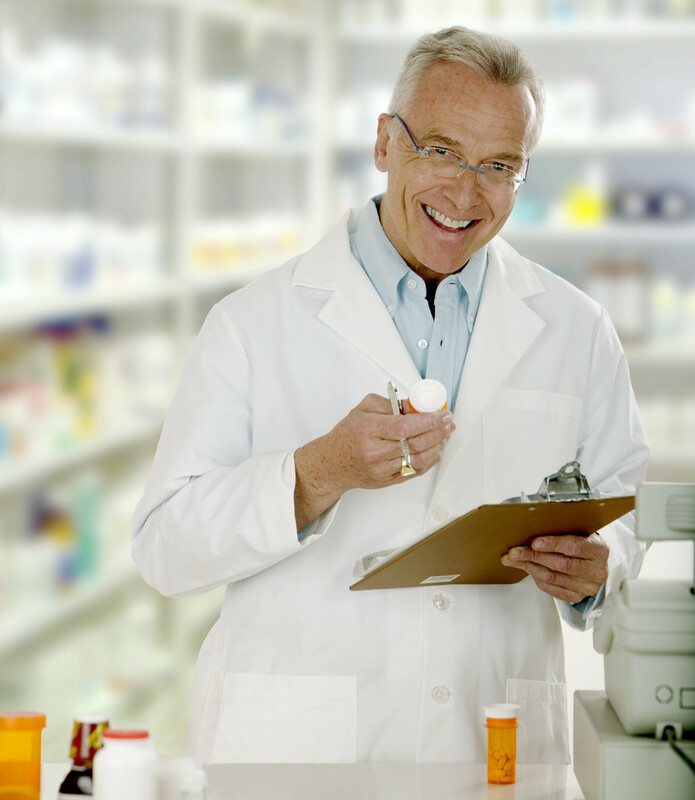 While Doctors diagnose the disease or illness, it is the Pharmacist who are experts in drugs and medications. Their service is very important to both patients and the health care community. In addition to dispensing prescriptions, they must understand the chemistry, drug reactions, patient’s history, the effects and side effects of drugs. A pharmacist plays an important part of any health care system. Pharmacists are experts in drugs and medications and their service is of paramount importance to both patients and the health care community. In addition to dispensing prescriptions, they must understand the chemistry, drug reactions, patient’s history, the effects and side effects of drugs. 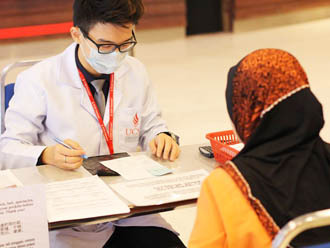 Students after SPM or O-Levels can enter into a Foundation in Science at the best private universities in Malaysia for 1 year before continuing on to the 4-year Pharmacy degree. Pre-University graduates in Malaysia from programmes such as UEC, STPM, A-Levels, SAM, CPU, AUSMAT and others may enter directly into the degree providing they meet the minimum entry requirements. Unlike earlier times, pharmacy is a field that requires its practitioners to be flexible in their job and adaptable to the changing nature of the healthcare industry. Firstly, the worldwide trend is moving towards specialisation in the distribution of medication and pharmaceutical care is influencing pharmacy practice in this region of the world. Secondly, the changing environment in retail pharmacy sector from individually owned pharmacy shops to nationwide chain stores is demanding an adaptability of pharmacy graduates. Thirdly, the growth of the pharmaceutical industry in Malaysia is in dire need of experts in industrial pharmacy. In Malaysia, job opportunities abound for pharmacists. Besides employment in traditional venues such as hospitals and private clinics, pharmacy graduates are engaged in other areas such as research and development, drug enforcement and academia. In all these areas, pharmacists play an important role in the health of the country. One might ask, “What is Pharmacy about?”. Pharmacy is about using medications safely and effectively. A Pharmacist is a professional who manages this process. Pharmacists are experts in drugs and medications and their service is of paramount importance to both patients and the health care community. In addition to dispensing prescriptions, they must understand the chemistry, drug reactions, patient’s history, the effects and side effects of drugs. A pharmacist is an integral part of any health care system. Pharmacists are experts in drugs and medications and their service is of paramount importance to both patients and the health care community. In addition to dispensing prescriptions, they must understand the chemistry, drug reactions, patient’s history, the effects and side effects of drugs. In Malaysia, job opportunities abound for pharmacists. Besides employment in traditional venues such as hospitals and private clinics, pharmacy graduates are engaged in other areas such as research and development, drug enforcement and academia. In all these areas, pharmacists play an important role in the health of the country. in the country. 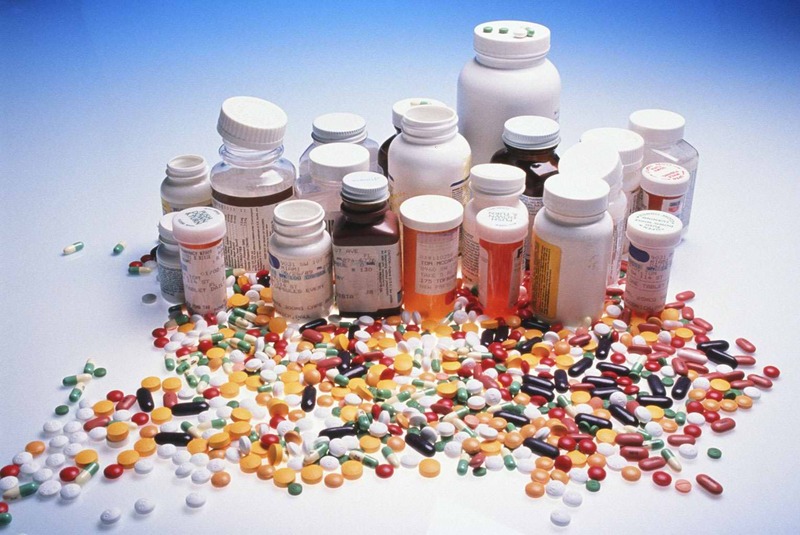 The Pharmacist to people ratio is set to turn from 1:2,947 this year to 1:2,000 by 2016. The starting salary is pretty good as well. I talked to one recent graduate who was getting about RM4000 a month and another graduate’s parent told me the same information as well. Malaysia’s generic pharmaceutical manufacturing industry is expected to see US$365 million (RM1.108 billion) in total annual revenue by end-2012 as indicated by the Malaysian Organisation of Pharmaceutical Industries (MOPI). In 2011, the industry recorded slightly over US$350 million (RM1.063 billion) in revenue and it is growing about six to eight percent annually. 2011, PRP was shortened from a three-year period to only one year. Australia. In 2005, the Faculty of Pharmaceutical Sciences at UCSI University offered its own Pharmacy degree programme. To accommodate its rapid growth and expansion, the School has since moved twice before its current five fully-equipped laboratories that are dedicated to learning, teaching and research. 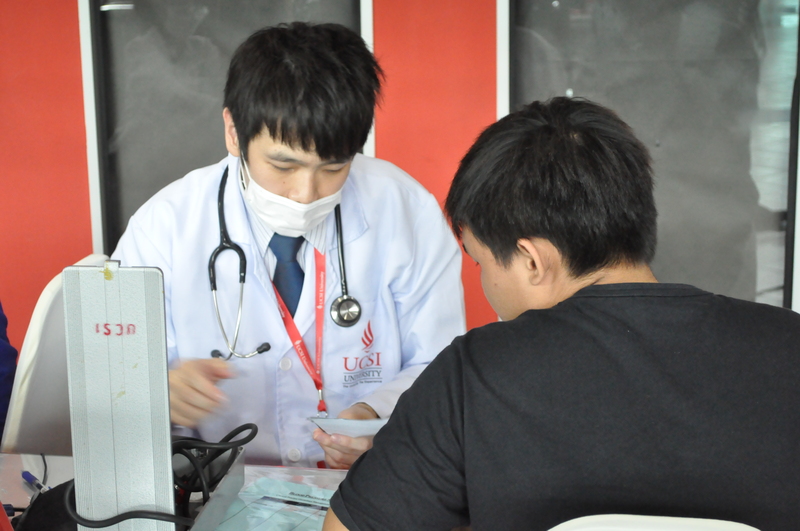 The Pharmacy degree at UCSI University is accredited by MQA and is recognised by the Malaysian Pharmacy Board. Graduates have been able to find work overseas as well. 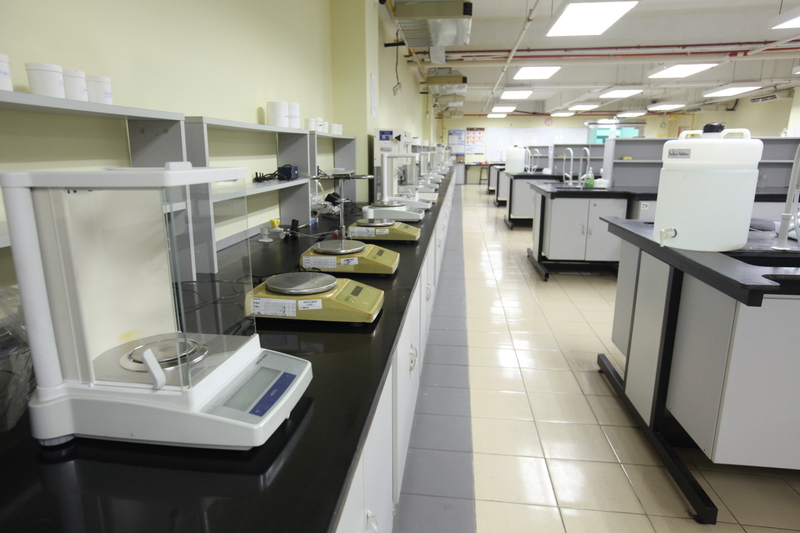 Together with its cutting-edge facilities, the 4-year Bachelor of Pharmacy (Hons.) degree offers quality learning experience under the tutelage of dedicated teaching staff using innovative teaching methods, and who, being actively involved in research, provide students with opportunities to participate in various research projects. industrial training, public health campaigns, community clerkship, hospital pharmacy clerkship and also to Problem-based Learning(PBL). Besides the formal lecture mode, student also receive invaluable practical guidance from our external partners, experienced industrial speakers, appointed pharmacists and doctors incorporated under the various Faculty departments. 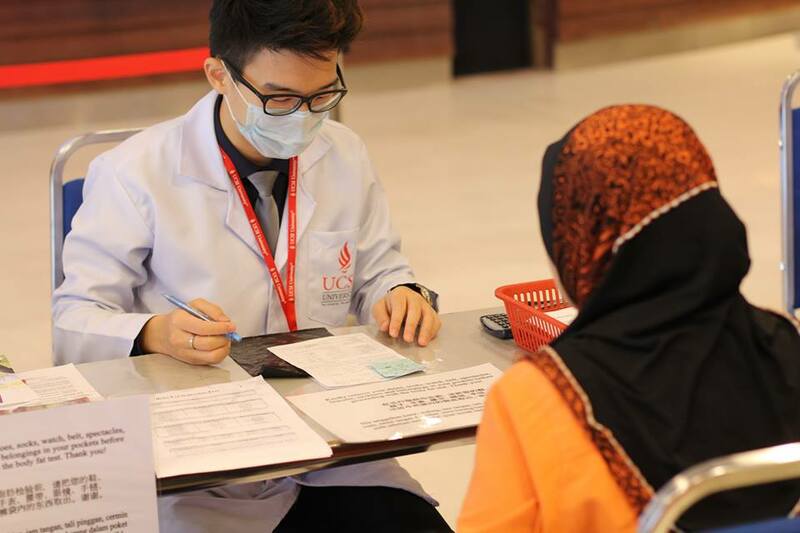 To go into the Pharmacy degree after SPM or O-Levels, students need to go for either a Pre-U course like A-Levels or AUSMAT, or the Foundation in Science at UCSI University. 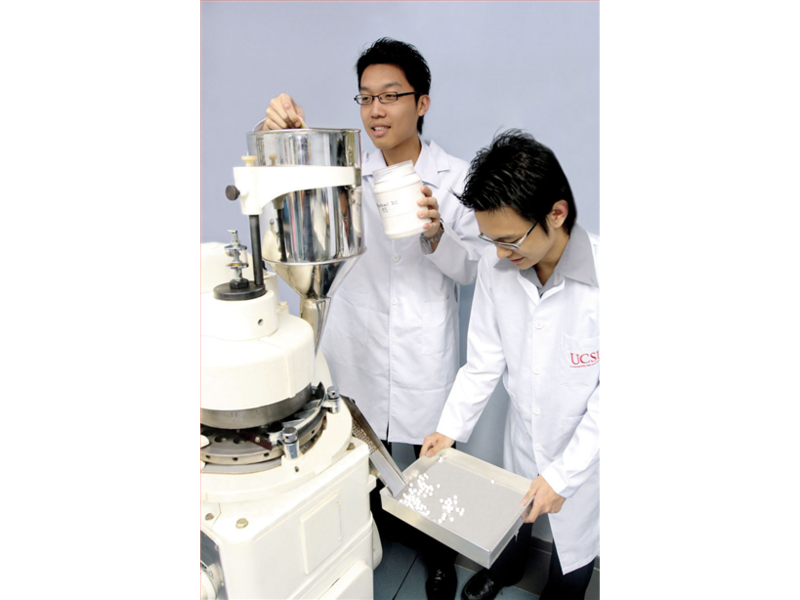 For UCSI University, students can either go for the Foundation in Science or their internationally recognised A-Levels. Upon completion, these students are given preference into UCSI’s medical or pharmacy programmes where the seats are limited. There is only one intake each year which is in August. Actual A-Level or STPM results of a Minimum of 3 principals ‘B’ in Chemistry, Maths, and Biology or Physics. Academically qualified candidates will be required to attend an interview for admission and a Chemistry quiz. The outcome of the interview will determine a candidate’s successful admission into the programme. Students must have a Minimum of 5B’s in Maths, Additional Maths, Chemistry, Biology and Physics in their SPM as well. 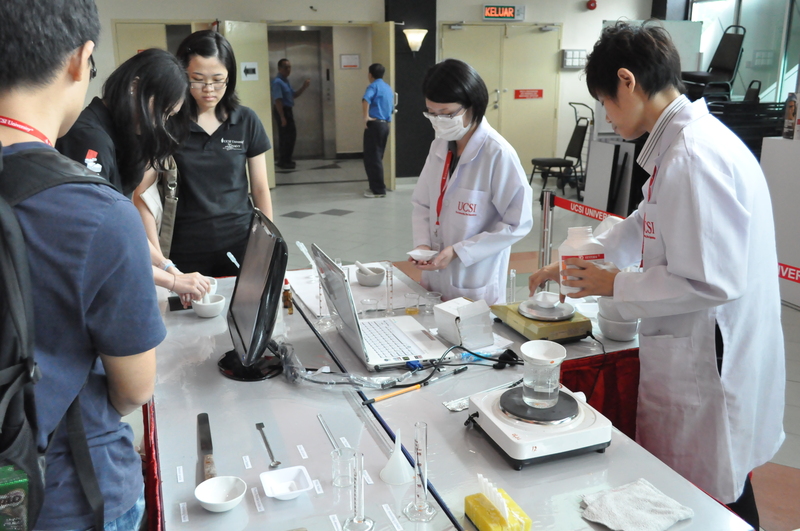 It will cost you about RM130,000 to study the whole Pharmacy degree at UCSI University. You will be able to apply for the PTPN Loan to cover some of the costs. In the months of November & December students undergo industrial training under the Co-Operative Placement Scheme to learn and to familiarize themselves with real life working environment. In addition, students also undertake a research and development project in their final year. The number of contact hours per subject per week depends on the credit and teaching methodology of each subject. Each credit is approximately equivalent to 1 hour of class, or 2 hours of labs per week. Malaysia. The early part of this curriculum focuses students on the fundamental knowledge in pharmacy as the foundation for later years. The curriculum is unique in that it starts off with integrated courses where four main disciplines are being taught in each body system. Students appreciate this mode of learning as it enhances their understanding. This will serve as a strong foundation later as they practice as pharmacists. The courses in the programme are arranged into four main disciplines within the School of Pharmacy as listed. The duration of the programme is 4 years as required by the Board of Pharmacy Malaysia. In the months of November & December students undergo industrial training under the Co-Operative Placement Scheme to learn and to familiarize themselves with real life working environment. The number of contact hours per subject per week depends on the credit and teaching methodology of each subject. Each credit is approximately equivalent to 1 hour of class, or 2 hours of labs per week. assessments. The assessment methods include various assignments, practical & visitation reports, oral presentations, research project viva, patient counseling, tutorials, problem based sessions and finally the examinations. There is only one intake a year, which is in August. Academically qualified candidates would be required to attend an interview for admission. The outcome of the interview will determine a candidate’s successful admission into the programme. UCSI University School of Pharmacy assesses its students based on the main objective of training competent pharmacists. visitation reports, oral presentations, research project viva, patient counseling, tutorials, problem based sessions and finally the examinations. UCSI Pharmacy students have the unique experience in organising and executing the Public Health Campaign each year giving them valuable leadership experience and enhancing their communication skills. As you know, if graduates work in retail pharmacy, they will need to be able to communicate to the public about the nature and effects of the drugs prescribed to the patients. This public health campaign will definitely help them to add value to their future career as a pharmacist. For information on the entry requirements, please click here. 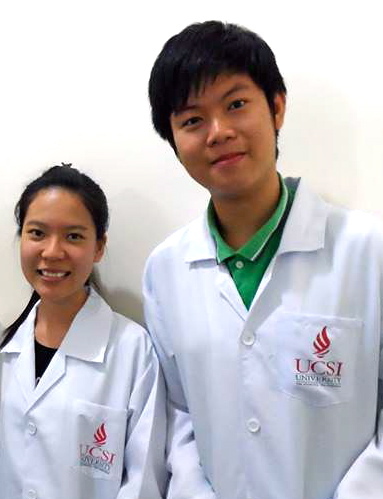 Pharmacy students at UCSI University have access to state-of-the-art labs to enhance their learning experience. Pharmacists need to be people persons as you will deal with the patients and public to provide information to them. The Bachelor of Pharmacy (Hons) programme at top ranked Taylor’s University is recognised by the Malaysian Pharmacy Board. Taylor’s University is one of the best universities in Malaysia for you to study the pharmacy programme. 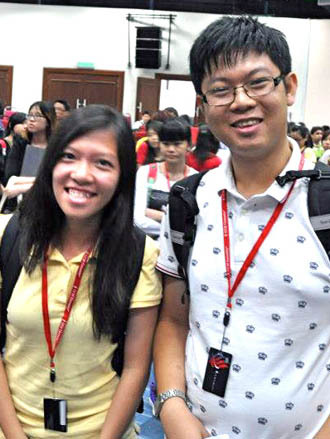 Students after SPM or O-Levels may enter Taylor’s Foundation in Science for 1 year before continuing on to the Bachelor of Pharmacy (Hons) degree programme at Taylor’s University. The 4-year Bachelor of Pharmacy (Hons) degree programme at Taylor’s University equips students with scientific, clinical and professional knowledge as well as strong communication skills, giving them the ability to positively impact the healthcare system. The curriculum is designed to encourage students to become independent learners who are capable of undertaking and understanding challenges in the use of medicine and in healthcare. Ultimately, our pharmacy degree students will gain the ability to integrate fundamental scientific principles into healthcare practice. The pharmacy programme at Taylor’s University is geared towards the patient as the major focus for the application of knowledge of the pharmaceutical sciences. There are four main areas within the pharmacy programme at Taylor’s: Pharmacology, Medicinal Chemistry, Drug Delivery and Pharmacy Practice. Early exposure to real world experience through field visits, study trips, and campaigns, as well as internship and research opportunities, prepares students for their future careers. Classroom teaching is influenced and informed by faculty members who are experienced in the field of pharmacy (public or private sectors) and continuously undertake research in their respective fields. Students obtain a broad understanding and perspective of the subject matter, due to the good mix of local and international lecturers. Over 70% of the lecturers are Ph.D. holders and many undertake research in their respective areas of interest, contributing to the enhancement of knowledge delivered in the classroom. The curriculum provides an in-depth insight in pharmaceutical sciences, physiology and pharmacy practice. Emphasis is placed on clinical skills, specifically with response to symptoms and differential diagnosis built on the application of scientific principles. Exposure to the three major healthcare areas in pharmacy, via 5-week placement in Community Pharmacy, 15-week of Hospital Pharmacy and 3-week placement in Industrial Pharmacy. A pass in SPM / O Level or equivalent with 5Bs each in Biology, Chemistry, Physics, Mathematics / Additional Mathematics and another subject. SPM students will also need to attain a pass in History. Malaysian students are required to attain a credit in Bahasa Melayu and English. The minimum entry requirements may be subject to changes to meet the requirements of the Malaysian Pharmacy Board. Besides the list above, students can also choose to take any elective offered by other schools at Taylor’s University. Completion of pre-registration training and 1-year compulsory service. The 1-year pre-registration training and another year of service must be at premises approved by the Ministry of Health. These include institutions, hospitals and clinics under the Ministry of Health, other government institutions such as Hospital Universiti Sains Malaysia, University Malaya Medical Centre and Universiti Kebangsaan Malaysia Medical Centre as well as selected private sector establishments that include community pharmacies, pharmaceutical industries and private hospitals. Pass the Pharmacy Jurisprudence Examination which assesses knowledge and application of Malaysian law regulating the sale and supply of poisons and also the ethics of the pharmacy profession. This examination must be passed by all candidates wishing to apply for registration either before graduation, prior to starting the pre-registration training or before completion of the pre-registration training. As part of our commitment to lifelong educational development, the School has customised labs that are designed to integrate the teaching, learning and understanding of pharmaceutical science in the context of pharmacy practice. Our facilities are also independently audited by both the Malaysian and UK Boards of Pharmacy, to ensure that standards are adhered to. This sterile preparation suite teaches students the theories and skills related to the specialised dispensing of injectables and other sterile medicines. This clean room facility mimics those found in hospitals and in the pharmaceutical industry, and meets stringent international industry standards. This lab is fitted with state-of-the-art shared core instrumentation. It houses a wide range of high-quality, modern equipment, operated and maintained by qualified personnel. The facility is used to provide routine chemical and biological sample analysis; training to students and postdoctoral associates to run the self-service equipment; and opportunities for collaborative research in chemical analysis. It is also utilised for analysing gases, liquids and solids in pure or complex mixture forms. 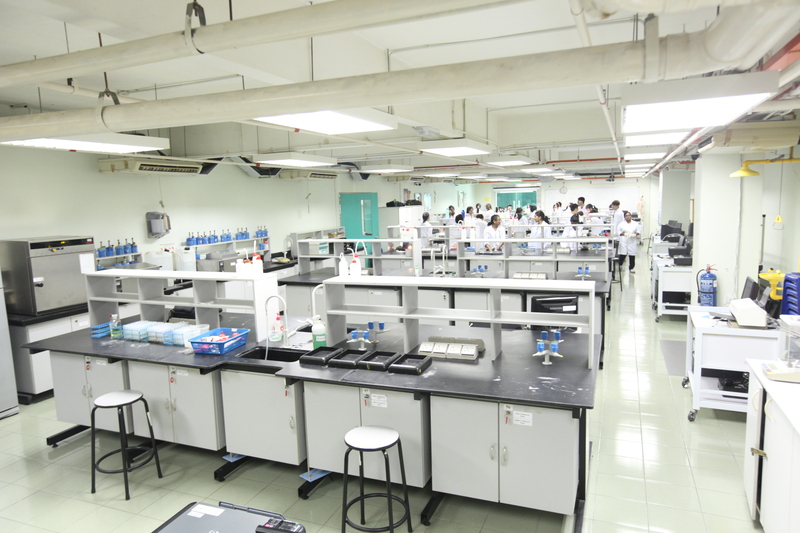 This lab is equipped with modern teaching benches and equipment for the study of physiology, microbiology, biochemistry, pharmacology and genetics. It is complete with centrifuges, Real Time PCR machine, laminar air flow, biological safety cabinet, 2-D electrophoresis system and fluorescence motorised inverted microscope. This mock dispensary has been built, designed and fitted to the specification of an active community pharmacy. It is used for all aspects of practice, including counselling patients and health education. This facility is also part of a Clinical Skills Suite, with a mock hospital ward, where students will learn clinical skills relating to hospital and community practice. It comprises over 20 computers for labelling medicines and maintaining patient medication records. Established since 2009, EduSpiralConsultantServices helps provide information and counselling on courses and universities in Malaysia.